Just like carpet, dirt builds up over time, dulling your tile’s appearance and discoloring your grout. Our thorough, high pressure tile & grout cleaning removes the deep-down dirt that lies within the pores of your grout lines. 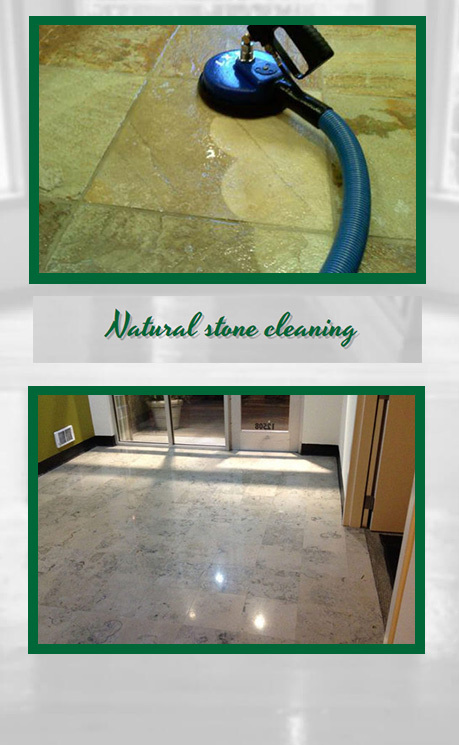 We provide cleaning and restoration services for all types of tile, grout and stone including ceramic, porcelain, slate, travertine, limestone, marble and granite, this includes floors, counter tops and showers/bathroom surfaces. You can be confident that our tile and grout cleaning and restoration services will be done to the highest quality standards using the latest industry standards and procedures. expectations as well as come up with a solution for each area. any carpeted or hardwood floors. Our technicians thoroughly sweep or mop the entire area, maximizing the results we obtain. As in any cleaning process, dry soil removal is the most important. 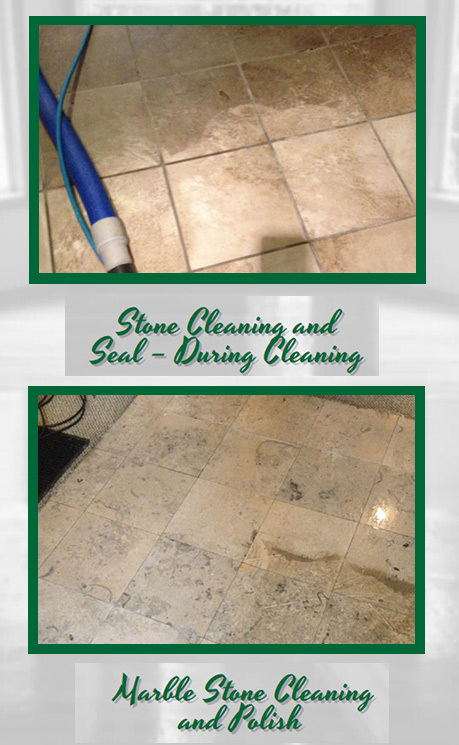 of your tile is the most scientifically advanced tile cleaner on the market. pressure cleaning system known as the SX-15 hard surface cleaning tool. Apply an optional Grout Sealer to protect grout from mildew and re-soiling. When our trained staff applies the sealant, a barrier is created, minimizing the amount of dirt that is able to seep into the grout pores. This helps your grout stay cleaner, longer and maintenance is simple because dirt doesn’t penetrate deep into the cracks. Ceramic tiles are the popular flooring of choice of many homeowners. The main reason is because it is durable. But aside from that, it is also low-maintenance. Nonetheless, if tiles are left unattended, stains could slowly and stick to it and they would eventually become more difficult to remove. It’s hard to avoid these stains as tile floors are really prone to them. Sweeping- no need for vacuum cleaners. A quick sweep daily would already keep the dust off the tiles. Although the tile surface itself does not accumulate dust, the spaces in between the tiles can collect a lot of dust which may eventually harden up and would be tough to remove. Water- is every cleaner’s best friend. Washing the tiles with water can already remove most stains. A wet mop is also one good way to clean the tiles more thoroughly. Doing this at least once a week will help ensure that stains won’t get too comfy in your tile floor. Mild detergent- if stains can’t be removed by water alone, mixing a bit of mild detergent into it can make a great difference in its stain-removing power. Detergents can make stains slide through the tiles which makes them a lot easier to remove. White vinegar- whoever said that white vinegar is only for cooking? A bunch of people don’t know that it can be a very potent cleaning agent as well. Mixing it with water in a 1:1 ratio creates a magic potion. It can work well not only in removing stains but in disinfecting the area as well. Refinishing- no matter how much you take care of your tile floors, it will always be exposed and is subject to the normal wear and tear. Luckily, there are now ways to slow this down. By applying top coating for ceramic tiles, it gives the tiles added protection. There are various types and brands available in the market. Gout care- ceramic tiles are usually held together by a white adhesive called the gout. Though tiles can’t be easily stained, gouts tend to gather dirt more easily and cause discoloration. Discoloured gouts can also destroy the beauty of tile floors, so it is also important to pay attention to the gout and clean it regularly as well. Through these simple measures, ceramic tiles can be kept clean and can last longer.